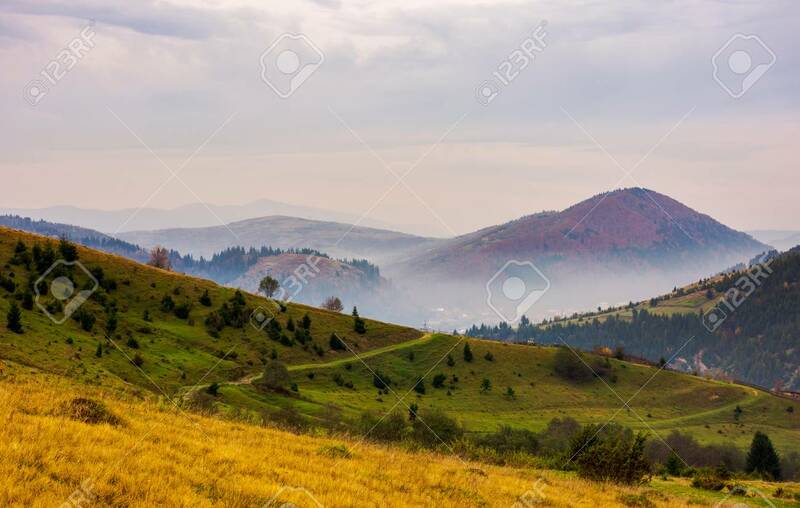 Beautiful Mountainous Area In Late Autumn. Foggy And Overcast.. Stock Photo, Picture And Royalty Free Image. Image 103702350.